While St. Nicholas is best known — in America, at least — for wearing red and white and giving presents to Children each December 25, he’s actually the patron saint for a number of professions, places and afflictions. His feast day is not actually Christmas Day, but almost three weeks earlier on December 6. 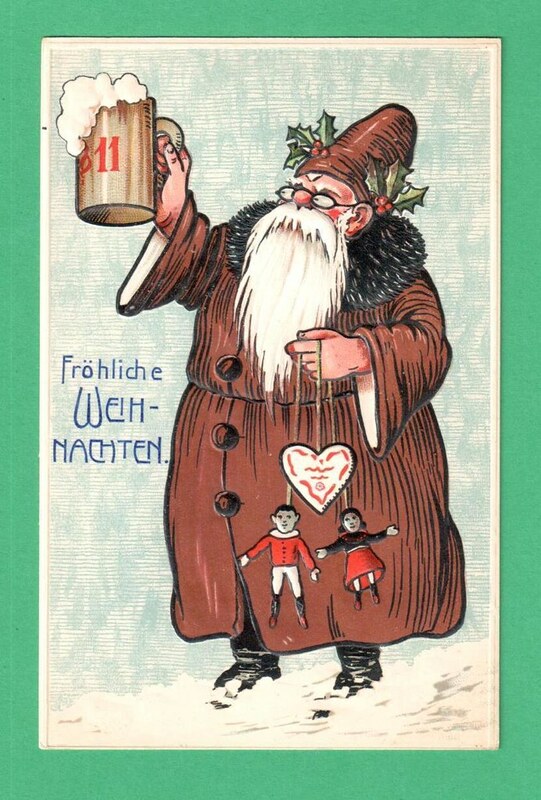 That’s the reason why the holiday beer Samichlaus is brewed each year on this day. The person we associate with Christmas, Santa Claus, was based on Saint Nicholas, who was originally known (and still is in some places) as Bishop Nicholas of Myra. Nicholas is the patron saint of brewers, among many others. He’s also the patron saint against imprisonment, against robberies, against robbers. And Nick’s the patron for apothecaries, bakers, barrel makers, boatmen, boot blacks, boys, brewers, brides, captives, children, coopers, dock workers, druggists, fishermen, Greek Catholic Church in America, Greek Catholic Union, grooms, judges, lawsuits lost unjustly, longshoremen, maidens, mariners, merchants, penitent murderers, newlyweds, old maids, parish clerks, paupers, pawnbrokers, perfumeries, perfumers, pharmacists, pilgrims, poor people, prisoners, sailors, scholars, schoolchildren, shoe shiners, spinsters, students, penitent thieves, travellers, University of Paris, unmarried girls, and watermen. Places he’s the patron for are Apulia, Italy; Avolasca, Italy; Bardolino, Italy; Bari, Italy; Cammarata, Sicily, Italy; Cardinale, Italy; Cas Concos, Spain; Creazzo, Italy; Duronia, Italy; Fossalto, Italy; Gagliato, Italy; Greece; La Thuile, Italy; Lecco, Italy; Limerick, Ireland; Liptovský Mikulás, Slovakia; Lorraine; Mazzano Romano, Italy; Mentana, Italy; Miklavž na Dravskem polju, Slovenia; Naples, Italy; Portsmouth, England; Russia; Sassari, Italy; Sicily; Is-Siggiewi, and Malta. He also has many names around the world, such as Baba Chaghaloo, Father Christmas, Joulupukki, Kanakaloka, Kris Kringle, Pere Noel, Papa Noël, Santa Claus, and Weihnachtsmann (“Christmas Man” or “Nikolaus”), to name just a few. Saint Nicholas (March 15, 270 – December 6, 346) is the common name for Nicholas of Myra, a saint and Bishop of Myra (in Lycia, part of modern-day Turkey). Because of the many miracles attributed to his intercession, he is also known as Nicholas the Wonderworker. 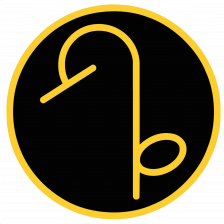 He had a reputation for secret gift-giving, such as putting coins in the shoes of those who left them out for him, and is now commonly identified with Santa Claus. His reputation evolved among the faithful, as was the custom in his time. In 1087, his relics were furtively translated to Bari, in southern Italy; for this reason, he is also known as Nicholas of Bari. The American image of Santa Claus in red and white has more to do with marketing than anything else. I wrote about this in The Santa Hypocrisy a couple of years ago when the Shelton Brothers were in hot water from several states who tried to tell them Santa Claus on a beer label threatened the American way of life and especially the impressionable young kiddies who would all be led down the path to underage drinking and alcoholism because Santa was depicted on a beer label. It was an utterly ridiculous position and they ultimately backed down, but it’s indicative of our puritan hang-ups as a culture and our general paternalism where we believe everyone needs to be protected. And in retrospect I can now see how the “institutionalized demonization of alcohol” creates the conditions for such decisions. Remember the message? “Alcohol is evil. No one can be trusted with it.” When that’s the underlying assumption, you create rules for what can and can’t be displayed on a label that are way beyond reason; standards no other products have to follow because they’re not seen as inherently evil. But before the 20th century and in other parts of the world, Santa Claus was and still is depicted in many different ways and in various colors. 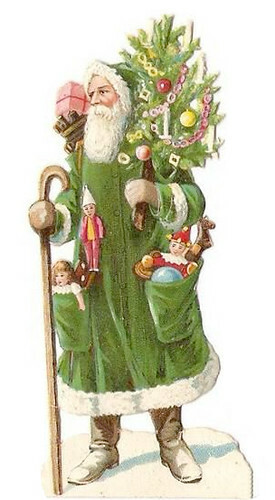 Father Christmas, for example, is often seen wearing a green robe, as in the British Isles he’s more associated with nature and the old Celtic religions. The yule log, Christmas tree, wreaths, mistletoe and many other features we take for granted during the holidays do not have direct Christian origins, but were appropriated from pagan religions in order to make the transition to Christianity easier for the masses to make. 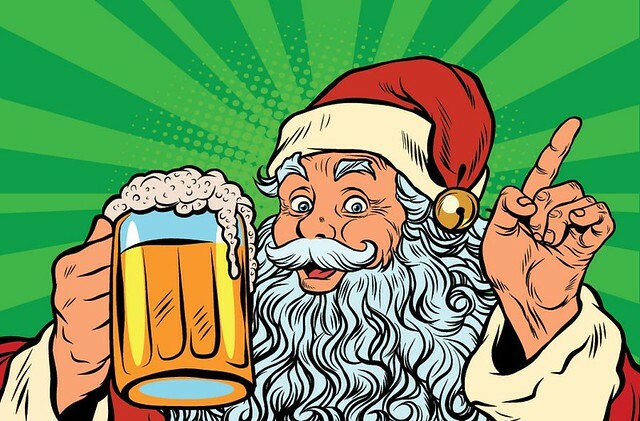 Personally, I love a green Santa Claus because it reminds me of hops, and a Santa that stands for hops is one I can get behind. Why does it seem like we’re the only uptight nation on Earth when it comes to this silly issue. 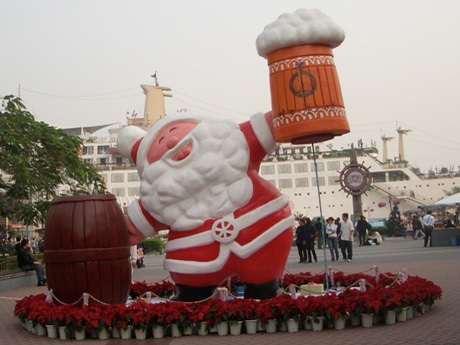 In Hong Kong, a giant Santa Claus is shown with a mug of beer, and no one seems to be that concerned. Try putting something like that up here, and all hell would break loose. We’re the only country complaining that there’s a “War on Christmas,” as stupid a notion as ever there was one, especially in a nation where those who celebrate Christmas constitute the vast majority. The point is if the church can have a patron saint of brewing, why do religious people object to St. Nicholas being on beer labels? 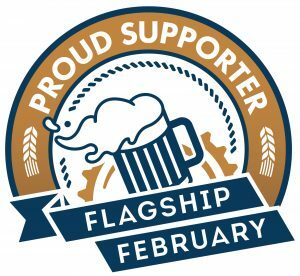 Wouldn’t it make perfect sense for brewers to want to place their patron saint on their beer? 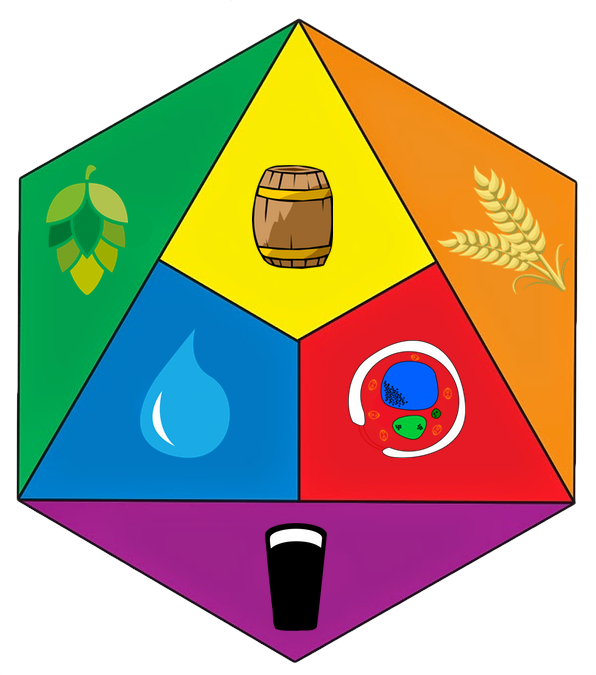 Throughout Europe, Monks not only kept alive the method of brewing beer but improved techniques for making it. 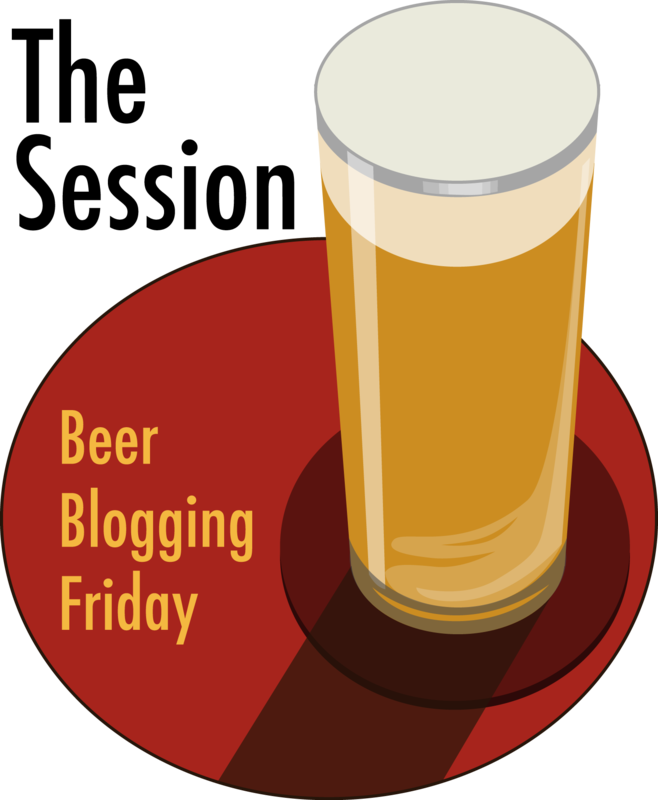 A Benedictine nun in Germany, Hildegard von Bingen, is most likely responsible for the introduction of hops in beer. 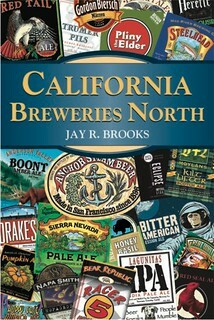 Religion and brewing are intertwined throughout history and, in every place except the United States, that continues to be the case. Why? What about our particular religiosity makes us incapable of seeing that and reconciling it? 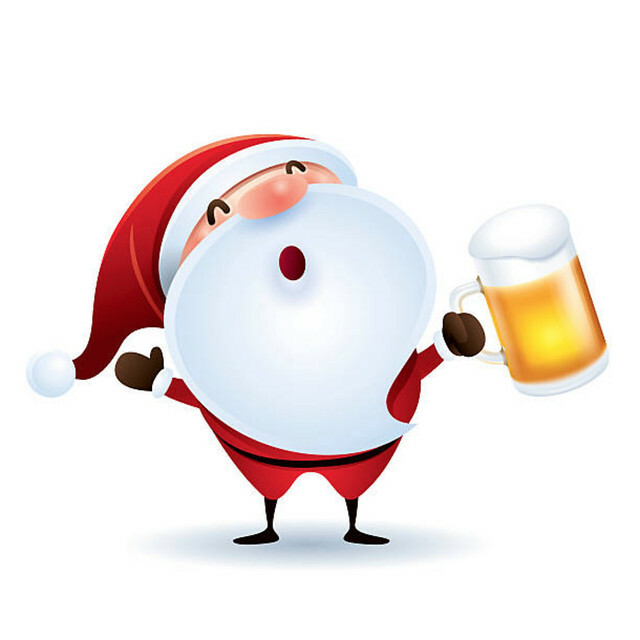 Why is it seemingly acceptable for Santa Claus to be used to sell everything under the sun … except alcohol. 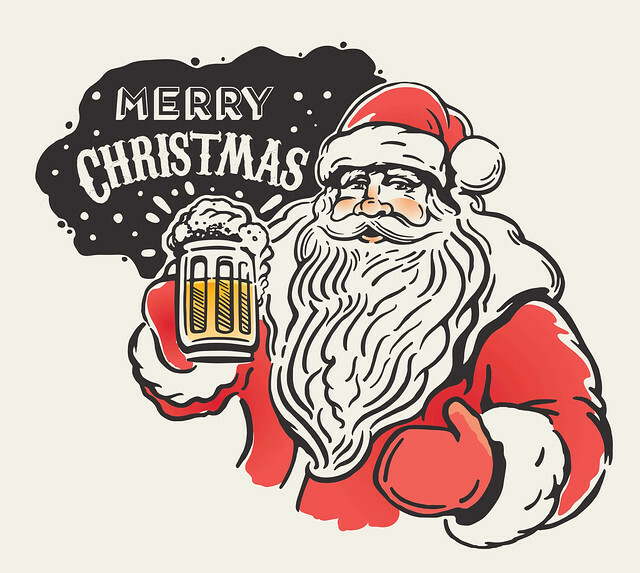 Santa sells cigarettes, soda pop, fast food and pretty much everything else with capitalistic glee yet alcohol is the corrupting influence? That’s going too far somehow? Please. That Santa Claus only appeals to children is usually the rallying cry of the buffoons who complain about this sort of thing, but a survey of pop culture will reveal that St. Nick is used in all manner of adult contexts. Kris Kringle, like the spirit of Christmas itself, belongs to all of us, not just children. There’s no doubt that I love seeing Christmas through the fresh eyes of my children, their innocence and wonder adds a new dimension to my enjoyment of the season. But I loved the holidays as much before I was a father and after I was an adult, too. That St. Nicholas appeals to wide array of people should be obvious from the huge number of groups and places that consider him their patron. When so many look to him for comfort in such a varied number of ways, how can anyone say what he is or what he isn’t, where he’s appropriate or where he’s not? They can’t of course, despite neo-prohibitionists and our government’s attempts to the contrary. 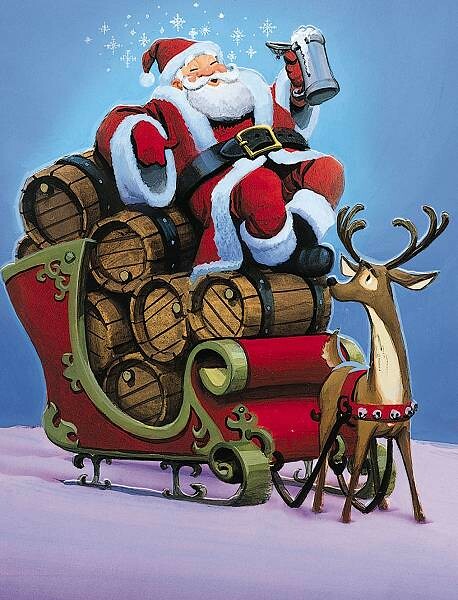 As the patron saint of brewers, Santa Claus is, and ought to be, perfectly at home on a bottle of beer. There’s also a wealth of information about the real Santa Claus at the Saint Nicholas Center online. Of course it would make perfect sense, but that would be too logical and easy. There are a lot of patron saints of brewing right? I may be confusing my saints but I’m also pretty sure that Saint Nicholas walked into a bar (haha, hoho) and found out that the bartender was turning his customers into edible delights for other customers. Saint Nicholas brought those people back to life, and then stuck the bartender in a pickling barrel. First of all, Neo-prohibitionist and Catholics do not tend to be the same people. In fact if you look into Catholic social teaching regarding alcohol you will pretty much find it aligns well with what Jay talks about. The same is not true for many Christian demoninations that have large followings in the US (such as Baptists). In fact off the top of my head I cannot think of any teetoling denominations that venorate the Saints as you described in your linked post. Secondly, meddling “do gooders” show up in every community, be it religious, cultural or whatever. Its up to the rest of us to tell the nosy neighbors of the world to but out. Biker Aggie is right on. The loudest “do gooders” are extremely arrogant, & suffer from varying degrees of stupidity. Stupidity of the genetically-inherited variety translates to its victims being subject to various forms of “brainwashing” (everything from religion to psychobabble, the latter of which CA holds the dubious distinction of leading the world in). Arrogance & stupidity never mix well & any good history student can find many examples going back forever. Dubya’s the poster child for the 21st Century so far in the US, but 20 yrs before him we had James Watt & Ed Meese. Watt was Reagan’s 1st Interior Secretary (he got canned < 2 yrs in) who was anti-environment to the max; Meese, Reagan's Atty General who lasted most of the 8 yrs, was a small-time political hack DA in the Bay Area & a legal lightweight akin to current Supreme Court justices Scalia & Thomas. What I'd like to see on a holiday brew label is an image of Jesus (made cryptic enough to get past the ATF censors). And it's gotta be called "Hallelujah!". Seasons greetings Jay. I enjoyed your article. May I share your article and link with my buddys?. We have an informal news/club letter between the six of us. I think they would enjoy it also. Gotta update my 2011 post – replace Dubya with Dolt 45 – ITMFA!